Thermal Heating services are specialist in plumbing both domestic and commercial. When looking for a plumber in Farnworth you should take into consideration the qualifications of the technicians. Here at thermal heating solutions we are fully qualified to undertake all types of plumbing, there is no job to big our small that we wouldn’t undertake. Our plumbing comes from our years of experience in the plumbing industry. Sick and tired of that boiler breaking? 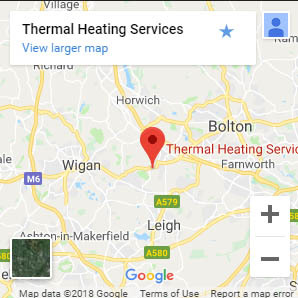 Thermal heating solutions can help you resolve that problem with our fantastic range of services in Farnworth. Are you having issues related to any of these problems? Are you looking for an installation of a central heating system in Farnworth? We are confident in saying that we install the best and most efficient central heating system for the most competitive prices and work quality. We replace old pipe work and replace with an entire new system revitalising your central heating. Specialist underfloor heating installation services in Farnworth. Look no further than thermal heating services. Underfloor heating is known for its energy saving properties, and its relatively simple to install to most homes. This service requires a sub floor to be created so that pipes and be laid to heat the floor above. If you’d like to know more about our services please contact us today.